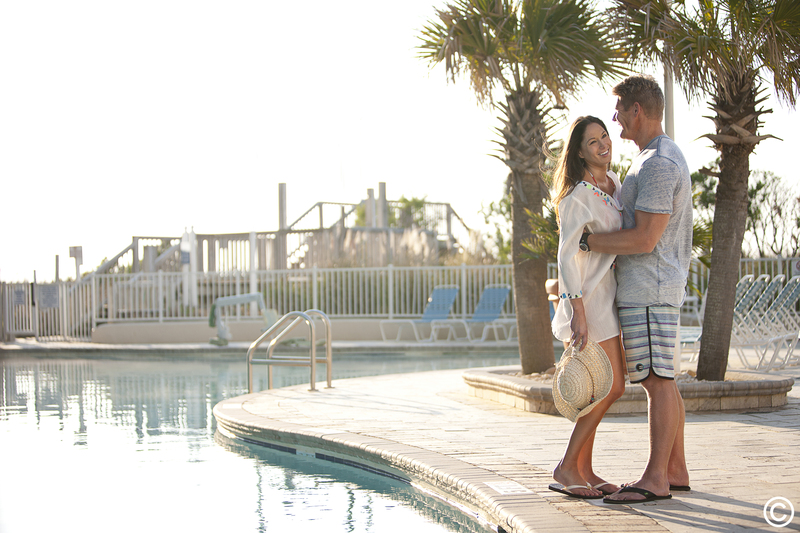 Sea Watch resort has become known as one of the premiere wedding locations in the Myrtle Beach area. If you've ever dreamed of a beach wedding, then the Sea Watch Resort might be just the place to say "I Do". Being located right on beach, the Atlantic Ocean provides a perfect backdrop for the most romantic wedding ceremony. Start your life together in paradise with sand, palm trees, and salty air. Not only will the pristine atmosphere improve your ceremony, your wedding photos will benefit as well. After your fairytale beach wedding, the conference center at Sea Watch is the perfect space for your reception. With over 2,300 square feet of event space, Sea Watch specializes in a wide range of reception sizes. The event space can accommodate receptions as small as 10 people, to large wedding receptions up to 150 guests. The oceanfront accommodations, wonderful amenities, and fantastic service will be sure to wow you and your guests without question! For more information, check out the Groups and Weddings page on our website.